My approach to engineering and producing has a lot to do with the fact that I�ve come at it from the perspective of a musician. Starting off as a surf guitarist, I moved on to become a serious blues guitarist, then a jazz guitarist-turned-composer. I was one of the original members of Orchestra Luna, a theatrical rock group with a fanatical following and an ill-fated record deal with Epic. Continuing on as a bandleader, I released an LP entitled Mistral on the Spoonfed label, a result of a band I had for about a year with guitarist Mike Stern. Years past, bands evolved, many gigs were played, and more recordings were made including Photogenic Memory (Agharta, Japan), two with George Jinda and World News (JVC), three on the Narada label, and others. I�m currently working on two band and recording projects, Vertigo-Z and Van Gogh Shadowtree, and I often perform with world/jazz/jam band Club d�Elf. My first multitrack engineering feat (actually, it was sound-on-sound with two tape recorders) was accomplished when I was in the eighth grade. It was a two-guitar version of Misty (I know � a weird choice for an eighth-grader). From that day forward, the recording process has been as important to me as my work as a musician. 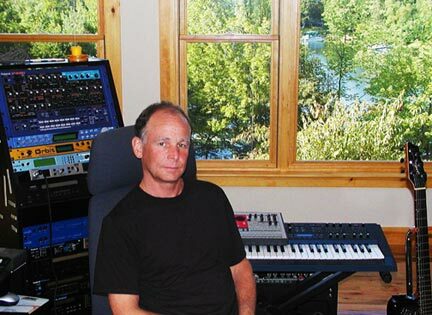 I began composing music for television in 1989, and this necessarily led to the constant upgrading of a home studio. I�ve scored hundreds of shows, including the last twelve seasons of Scientific American Frontiers, a PBS science series hosted by Alan Alda, as well as several from the NOVA series. An Emmy nomination came my way for my work on the European art film, A Celebration of Architecture. Teaching has always been a part of my life, and after 14 years in the New England Conservatory jazz department, I accepted a position at Berklee College of Music as Associate Professor of Guitar and Music Synthesis. Part of my work at Berklee has involved authoring and teaching an online course, Recording and Producing for Guitarists . Several years ago, my wife Kathy and I decided to transform the attic of our Boston area home into a small but well-equipped recording studio. Due to the results I was getting on my projects, folks began asking me to record, produce, mix, and/or master their own work, and I discovered that I love wearing those hats. It had been a dream of ours to someday move onto a New Hampshire lake (our first choice had always been Squam), so when something resembling the perfect situation presented itself, we grabbed it. Some new construction, and our little 80-year-old house gained an additional 1900 square feet that included a wonderful new studio space, tuned and treated under the direction of studio designer and Renaissance man Steve Blake.